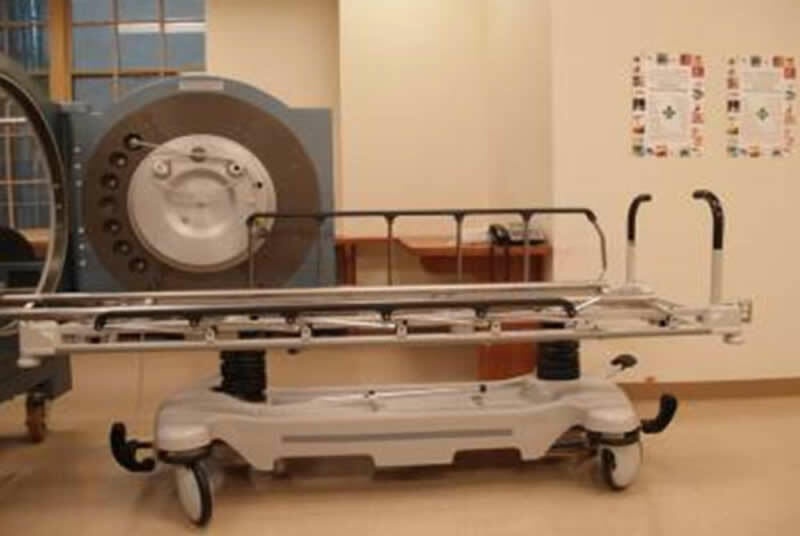 The hyperbaric commission required the filing, approval and inspection of a Certificate of Need. 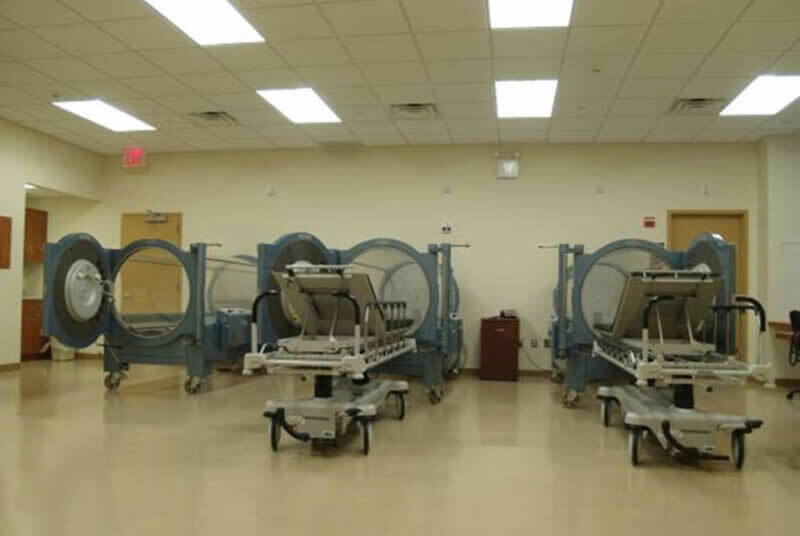 The hyperbaric room has three monoplane chambers or one-person chambers. These chambers will allow the entire body to be exposed to 100% oxygen and simulate the depths below sea level. The space housing the chambers has been designed in full conformance to NFPA 99 Chapter 20 that is dedicated to the design of hyperbaric facilities. Provisions have been made for a gas cylinder room large enough to accommodate reserve breathing gases required for chamber operations and designed to conform to the requirements of NFPA 5 based upon the quantity of stored gases and local New York City Fire Department and Department of Building regulations. 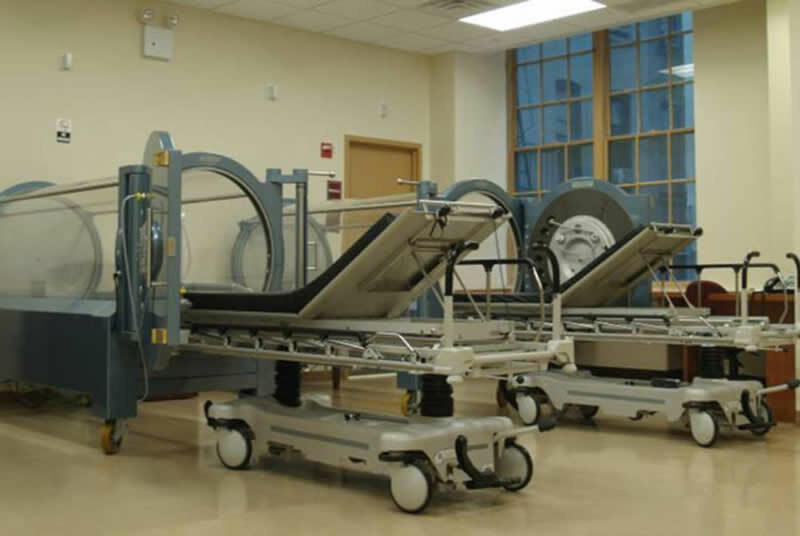 The wound care area has been provided with exam/treatment rooms and x-ray facilities.